Welcome back to Rhody, URI alumni! 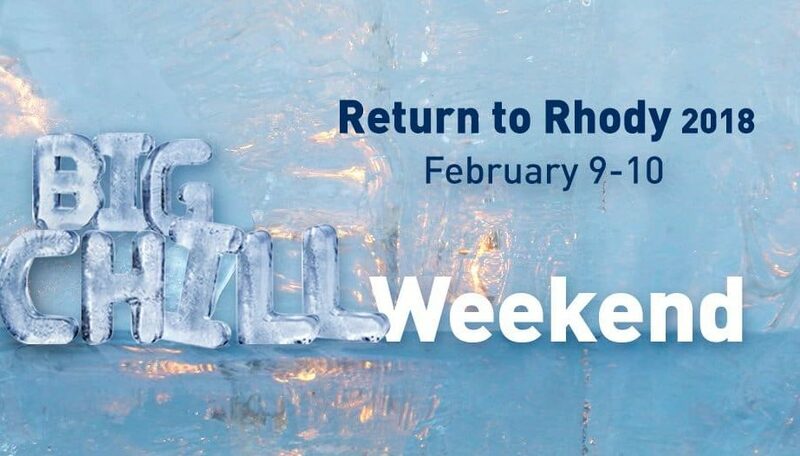 The URI Alumni Association’s Big Chill Weekend starts Friday, February 9th through Sunday, February 11th! The weekend is filled with reunions, tours and special events for alumni, parents and friends of the University of Rhode Island. 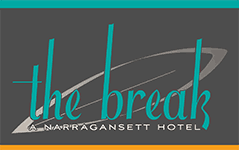 The Break, Narragansett’s only boutique hotel, has become a favorite of Alumni and those who come to the Kingston campus for special events or to visit students. A short drive from campus, our year-round heated saltwater pool, spacious rooms and suites, and Chair 5, our on-site restaurant/year-round rooftop bar with dramatic ocean views has become a favorite spot in South County. Stop by for drinks, lunch or dinner before or after your Big Chill events, and reserve your room for your next URI trip. Come in on Friday before the URI vs. Davidson Men’s Basketball game to enjoy one of our signature cocktails, craft beers or something to eat from our hand-crafted, locally sourced and seasonally inspired menu. We’d love to have you as you take a walk down memory lane. Friday and Saturday nights from 6:30-9:30pm we have live music in our indoor rooftop lounge. On Friday, begin the weekend with live music from Mark Gorman. An accomplished guitarist-vocalist, he welcomes song requests from his audiences and works hard to play something for everyone. On Saturday, Randy Robbins will fill the rooftop with his folk & classic rock ‘n’ roll influenced sound. On Saturday, join us for our DIY Terrarium brunch from 10 a.m. – 2 p.m. in our private dining room. Enjoy our brunch buffet and build your own terrarium for $25. And finish the weekend with our Sunday Brunch! The build your own Bloody Mary bar featuring Sons of Liberty Loyal 9 Vodka, made right in South Kingstown is always a favorite at our Sunday Brunch served 8am–2pm in our bistro dining room. Highlighted by Hey Rhody as a “favorite South County destination for a perfect spirited morning brunch,” you’ll enjoy favorite comfort dishes such as chicken + waffles, eggs benedict (with house made sausage patty or lobster & Clam Cake) or French Toast with homemade sourdough, blueberry cream cheese, whipped cream with candied orange. Visit URI Alumni Association – Big Chill Weekend for a list of events – we hope to see you soon! Go Rhody!